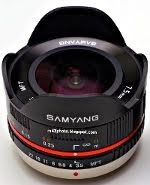 Lens Buyer's Guide. Panasonic GH4 review. Some months ago, Panasonic released a V-Log L video option for the Lumix GH4. Here, I intend to give a short introduction to what this is, and how you get started with this video profile. This is, of course, not a complete course. That would require a lot more than a short read. But this is intended to show you what V-Log L is, and how you get started, if you are interested. For most people, myself included, V-Log L usage is not a big deal. Most of the time, I am happy with the normal video output from the camera, and I don't spend the extra time and effort with the V-Log L profile. So keep in mind that this is optional: You can still enjoy the camera without caring about V-Log L.
Some would compare the V-Log L profile to using the RAW image format, rather than JPEG, when taking still images. It is not exactly that: The video is still compressed (unlike RAW), and it is processed (not straight from the sensor, like RAW normally is). However, this comparison still makes some sense, as you would use the V-Log L output much in the same way as you would use RAW: To be able to make adjustments to the colour and tone curves of the image. 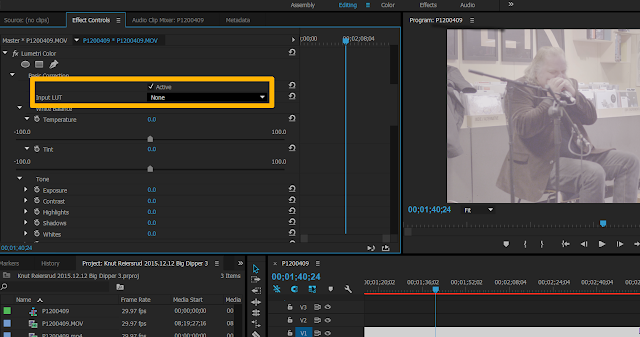 For video, this process is called "colour grading". When enabling the V-Log L profile, the output is flat. What I mean with flat, is that it looks grey, with little colour saturation, and little difference between the light and dark areas. If you uploaded the video straight to Youtube, people would think it looks quite boring. That is why you go through the grading process first. Here, you apply a Look-Up Table (LUT) to convert the flat profile back to something that looks normal, and you can apply colour and tone corrections on top of that. As you see here, the image is "flat" in the sense that it is grey and has low contrast. You can use the normal exposure modes also for V-Log L. However, keep in mind that the camera will often underexpose in V-Log L, and mostly you'll want to correct for that. I usually leave the exposure correction at +1 stop when using V-Log L, as you see above. For "run and gun" use, where you have varying lightning, this works well. I guess some seasoned videographers would frown at using automatic exposure, as opposed to full manual, but I don't think you should worry about that. Using auto exposure is a good way to get started. That way, anything which is overexposed (burnt out) will get the zebra stripes in the display. Adjust the exposure so that you are just not getting the zebra stripes, for the optimal exposure. Some zebras are ok, but keep in mind that those areas don't get any details in the final output, due to overexposure. In V-Log L, you can only use ISO between 400 and 6400. You can still use Auto-ISO. As the video output is so flat, you cannot just upload it to Youtube, you must first grade it. I have been using Adobe Premiere Pro, but most serious video recording software can handle this. You bring the footage into the editor as usual, and note that it still has the flat look, as it is not yet graded. To get the right Look-Up Table (LUT), you can get Panasonic's official one from here, scroll to the bottom and look for "LUT (Look-Up Table)." This is a zip file, and inside you will find a file called "VLog_to_V709_forV35_ver100.cube". This is the one you input into the video editor software. Add the Video Effect "Lumetri Color" to your video stream. Inside this effect, choose "Custom" from the "Input LUT" option. Here, you select the file you just downloaded from the Panasonic site. After having done this, you can select the output style you want in the "Look" section. I have just selected "Neutral". You can look at the other ones as well, and see if you would like to test some retro film looks. And remember to select "Active" for it all to work. 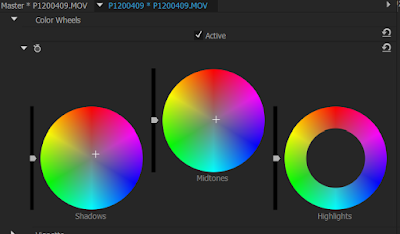 These colour wheels are central to tweaking the video. A common cliche the last years, is to push the shadows towards the blue, and the midtones towards orange. This creates a contrasty effect, and makes the skin tones stand out a lot. You'll see this effect used a lot in, e.g., "Transformers" and "Iron Man 2". Using an effect like this is going to make your video look modern today, but look dated in some years time. I prefer to keep them more neutral. Sadly, the focus was a bit off during a lot of this movie. I used the Lumix 25mm f/1.4 lens at f/1.6 and didn't foresee the focus issues it would have. The problem here is that the microphone in the front attracts the focus some of the time, and when the musician moves, the background looks more stable and easier to focus on for the camera. I could have prefocused on the musician's face, and turned off autofocus, that would have solved the problem. This is a lesson learnt for me. The exposure was: f/1.6, 1/60s, ISO 640. This video could have been graded better still. As you see, the face of the musician is a bit too red. However, I had a hard time finding the right white balance. I guess an experienced grader would have made this far better. 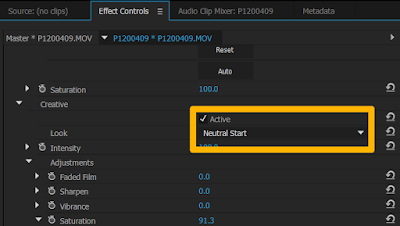 The V-Log L video option opens up for more possibilities to use custom video profiles in post processing. However, you need to spend more time on editing the video files, and you must invest in an editing software, like Adobe Premiere Pro. Most of the time, this looks totally ok. Personally, I am not using the V-Log L a lot. For normal hobbyist use, the standard profile is just fine. 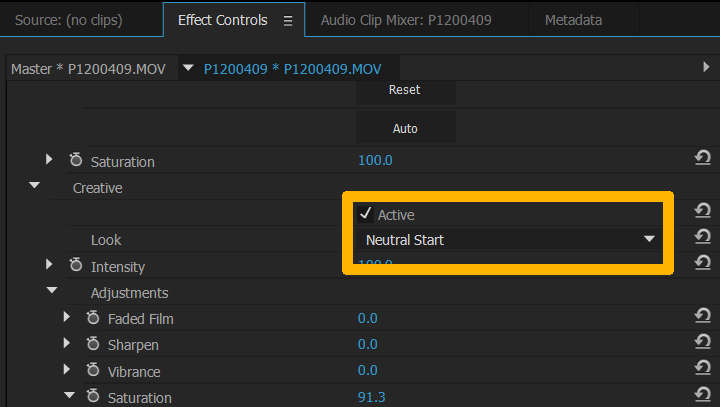 For a professional, having V-Log L is crucial, since it allows for colour grading clips to match, even if they are recording under different lightning condition, or even by different cameras. But for amateurs, it adds an additional step of post processing, which may not add much extra value. Lumix G 12-32mm f/3.5-5.6 review: Small and brilliant!